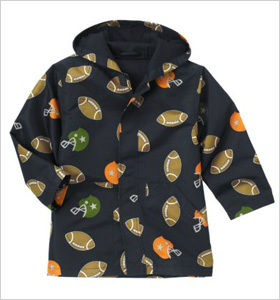 Now that the weather is finally cooling down, it’s time to shop for outerwear for your kids. For fall and early winter, you want a coat that is warm enough, but not too heavy or bulky. 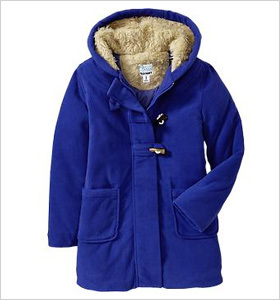 For girls, we love the Hooded Performance Fleece Toggle Coat (Old Navy, $45). This coat features a built-in hood with a fluffy lining, and it’s warm without being extra-bulky. It has three toggle closures in the front and falls to just below the hip. Available in four fabulous colors, this girls’ coat is a terrific choice for fall. The barn jacket is a classic style that is suitable for kids of all ages. 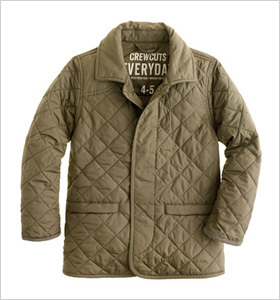 This Kids’ Barn Jacket (J.Crew, $88) is designed for both boys and girls. It comes in great neutral shades like olive, as well as a fun electric pink. This coat is perfect for both casual and more dressy wear. If you want something classic, you can’t go wrong with a fleece pea coat. Right now, this fall coat is available at an amazing sale price from Land’s End. This Little Girls’ Thermacheck 200 Fleece Pea Coat (Lands’ End, $20) in navy features front well pockets and a double-breasted button front and its timeless look will last season after season. Remember, when shopping for a coat, it should be loose enough to fit over the clothing your child usually wears (like fall sweaters) and easy to move in. When trying on coats, have your child raise arms in the air and move all around to make sure it isn’t too tight (or the arms aren’t too short).